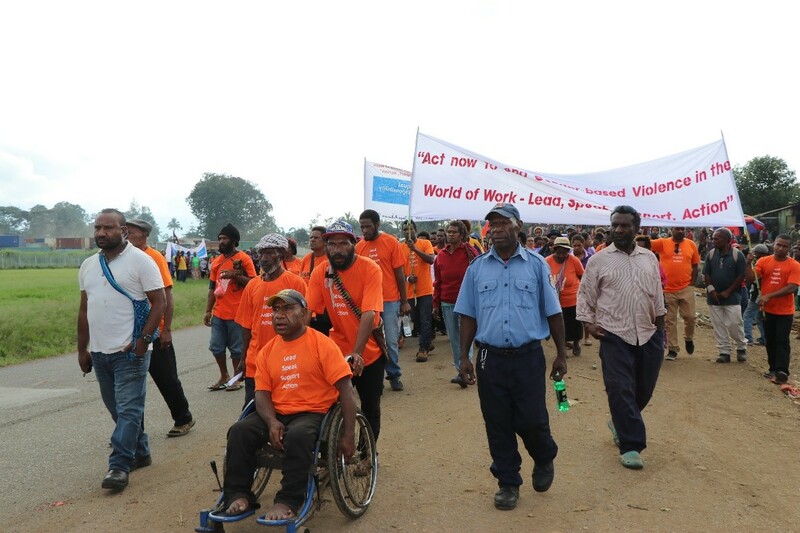 On the morning of Saturday 1 December, Goroka came alive with the voices of around 800 women, men and youth taking part in an anti-violence march through the town. 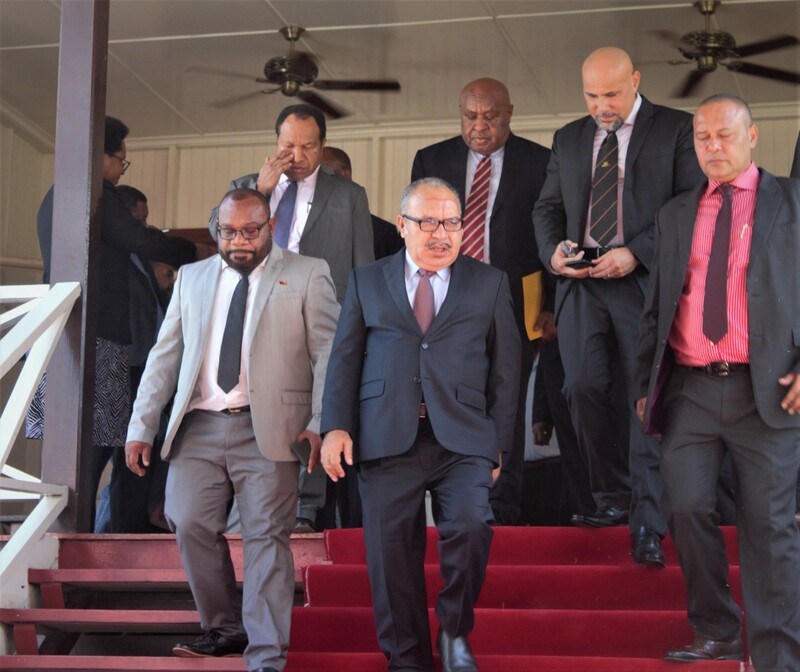 The march was organised to promote local church and NGO support for Papua New Guinea’s 20 Days of Human Rights Activism campaign, with assistance from the Australian Government through the Church Partnership Program. 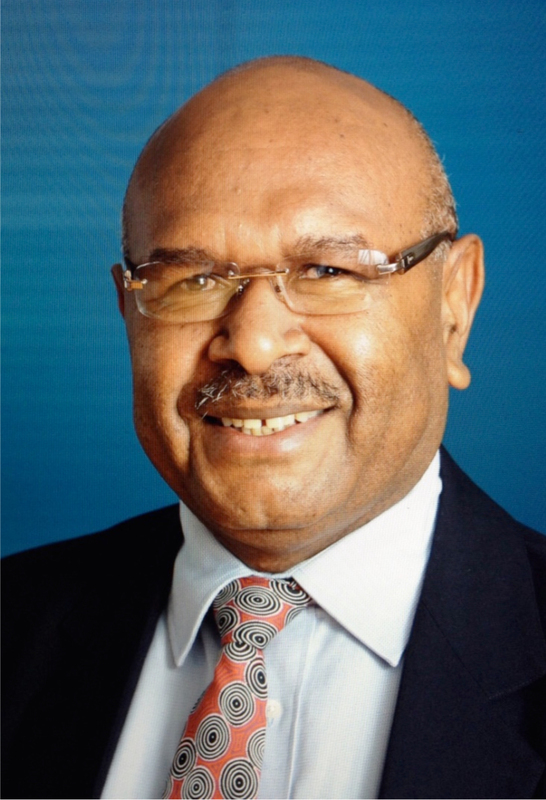 Reverend Daniel Paraide of the United Church and chaplain for the University of Goroka, explained that the Government of Papua New Guinea is committed to protecting all women and girls from all forms of violence. 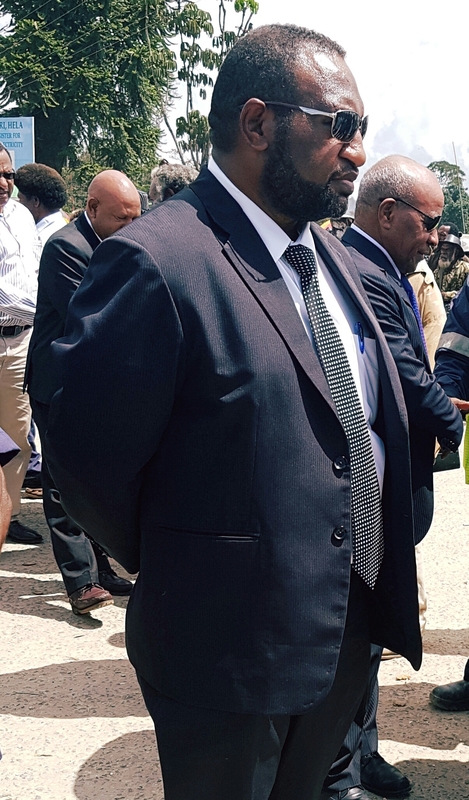 “The churches and NGOs have the same plan and that is why we marched today in Goroka,” said Rev Paraide. Led by the Catholic Church, United Church and the Salvation Army, participants in the march were joined by multi-denomination think tank Melanesian Institute, University of Goroka and Ministers Fraternal as well as Oxfam International, Eastern Highlands Family Voice, Kafe Women’s Association and 20 other local organisations from Goroka. 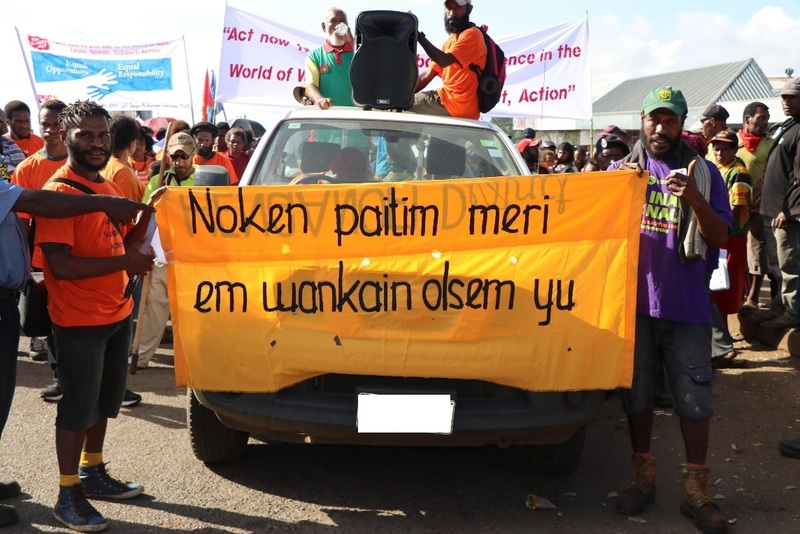 Men, women and youth carried placards, posters and banners as they weaved their way from Goroka’s Mambu market to the town square and down to Goroka’s main market before assembling at the Young Christian Centre Hall. Several speakers at the event highlighted the importance of a collaborative approach among like-minded organisations to end gender-based violence. 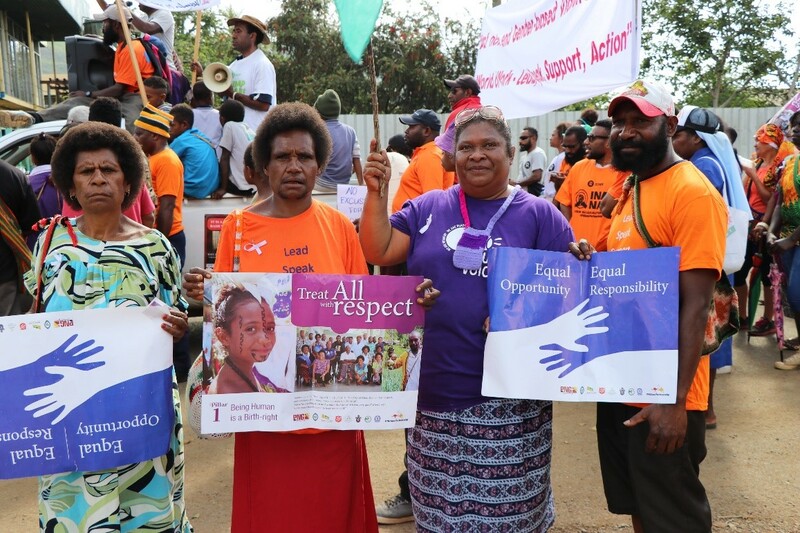 Program Manager of Eastern Highlands Family Voice, Jean Jano, said the march marked a “new era” for Eastern Highlands Province, through which NGOs and the churches will form a stronger partnership to address violence against women and girls. “Enough is enough! We must have equal opportunity and equal responsibility at all levels, in both distribution of labour and resources. We must respect one another and love one another because we are all created in the image of God and we all have the same rights,” Ms Jano said. 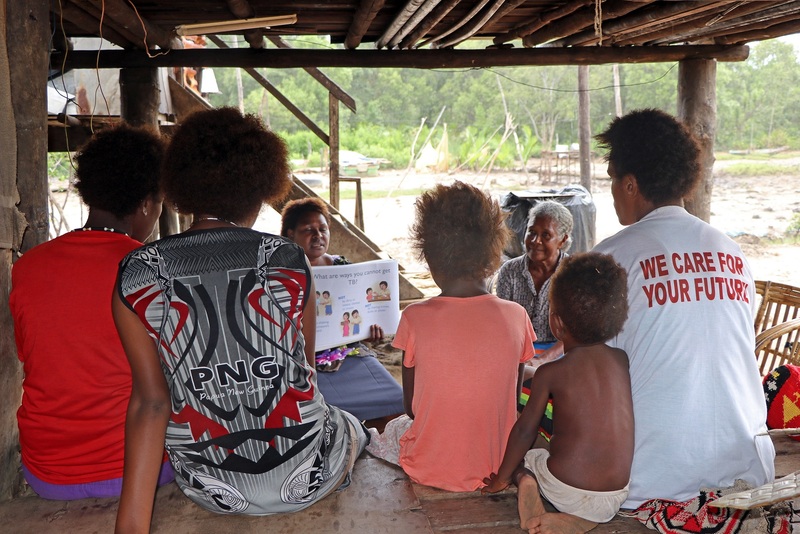 The Church Partnership Program is supported by the PNG-Australia Partnership and is a joint initiative between PNG’s seven mainline churches and their Australian counterpart faith-based NGOs.